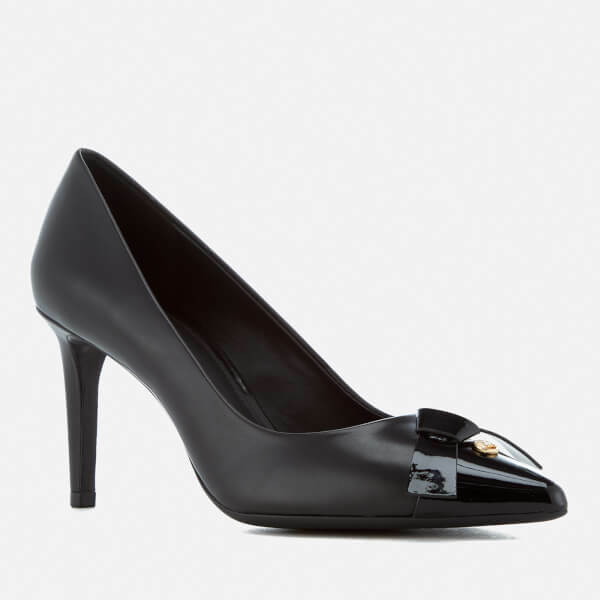 Women’s black court shoes from MICHAEL MICHAEL KORS. Crafted from smooth leather, the heeled shoes comprise a slip-on design with a patent, pointed toe and a comfortable leather lining. The 'Mellie' courts feature a high stiletto heel and are complete with a lightly padded insole, bow detailing and MICHAEL MICHAEL KORS branding adorned to the toe in a gold tone design.